When I heard these two awesome heroines were going to share the same reality for a short time I got super excited. I love Rachel from The Hollows and Peri Reed from The Drafter and I was ready for a perfect blend of both worlds. Well, I don't want to spoil the fun but let's just say itchy witch Rachel is in trouble and Peri agrees to help her despite this leading to big trouble for Peri if she is found out. 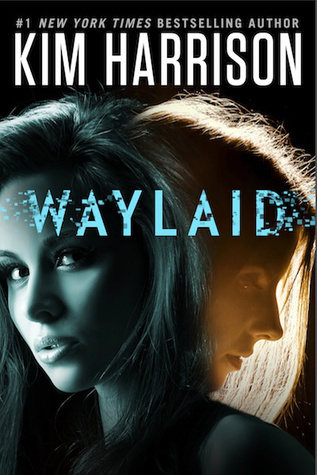 I do love the way Kim Harrison was able to connect these two very powerful women. They live in completely different worlds. Rachel in a world full of magic with elves, witches, demons and vampires and Peri in a world where you could go back in time to fix a mistake. One of the things I liked the most about this short story was that these two women despite being very different and from different worlds were able to get along quite well and even trust each other. They seemed to recognize each others souls. On a plus note and in one word : Jenks! !